Customers would often want to print their invoices for various needs. This is particularly significant when the customer has lost the hard copy of the invoice and require it for returning the purchased product. With our WooCommerce PDF Invoices, Packing Slips, Delivery Notes & Shipping Labels plugin customers can print their invoice against any order directly from My Account page. 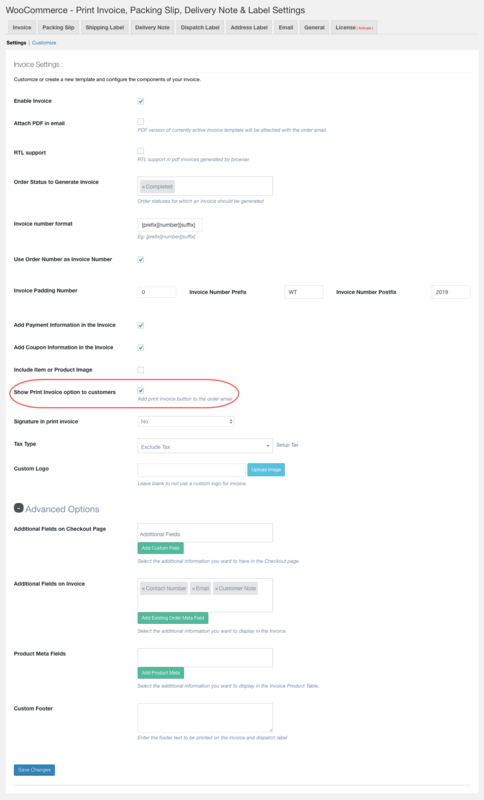 However, in order to achieve this functionality, you just have to enable Show Print Invoice option to customers (available in both basic and Pro version) while configuring your invoice settings. With the above setting in place, the customers will be able to print the invoice from their orders page(My Account > Order). Click on View order, to find the Print Invoice button within. Customers will be able to print the invoice by clicking on this button.